A training Handbook is a publication designed to help students in learning any academic subject. From the usual scientific literature textbooks are characterized in that they contain not only theoretical material, but also include a variety of practical tasks and questions. 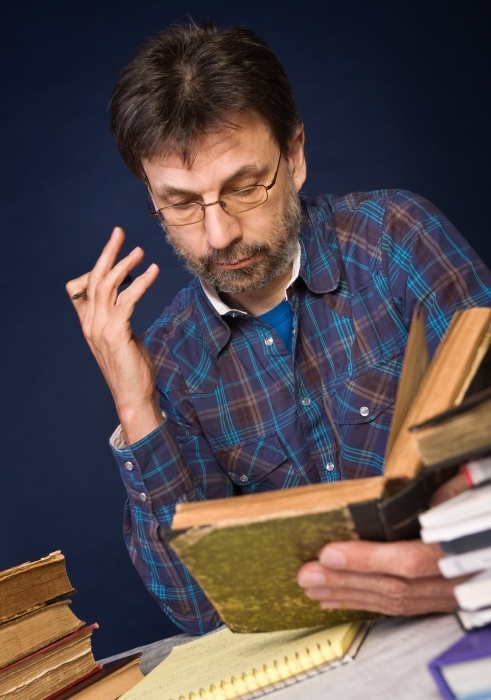 Many professors, who lecture courses are often faced with the necessity of writing textbooks for better student learning of the material covered. Regardless of the subject and of course any educational benefit must meet certain requirements. First of all, it must be consistent with the curriculum of the course for which you prepare an allowance. So, before you begin creating manuals, define the main objectives of the study course in specialist training. Define the tasks of training and education that needs to be solved in the process of teaching. Subsequently, this information you need to formulate the "Introduction" of your benefits. Make a clear structure of the study. Remember that the outlined theoretical material should correspond to the curriculum of the course, developed on the basis of the state educational standard. It is very important that the sequence of presentation of the material in the textbook followed the sequence of the lecture course and the topics of the program. Otherwise, students may have difficulty finding and assimilation of the necessary information. Working on the theoretical material of each Chapter, remember that the information should be as accessible, understandable language. It is desirable to avoid excessive abuse of the special terms and sentences. It is important that after reading the text, the students remained clear comprehension. All used special or foreign terms should have the transcript and explanation. Educational benefit includes not only theoretical material, but also help students in preparing for practical classes. Therefore each topic of your educational benefits you must be accompanied by a list of questions for self-examination and a list of scientific papers that reflect this perspective. It is also desirable to include in each Chapter, possible topics for essays and reports. Each theoretical topic (Chapter) at the end should contain clearly formulated conclusions from the above material. Each year, the allowance should be issued in compliance with all requirements established in the scientific literature and typography. To make sure of the correctness and completeness of registration of all footnotes, appendices and diagrams included in the manual. Pay special attention to the General bibliography, placed at the end of the book. Each edition should contain full information about its authors, title, release date and publisher. This information in the future will be very helpful to students for independent work with the course. Graphs and diagrams greatly facilitate the perception and assimilation of theoretical material. Don't neglect the opportunities that present tables, diagrams and drawings. They not only decorate your work, but also help students better understand the information presented.